Vigilant's Rotating Wine Rack is a beautiful and convenient way to store your wine. The rack is expertly designed with function and presentation in mind. 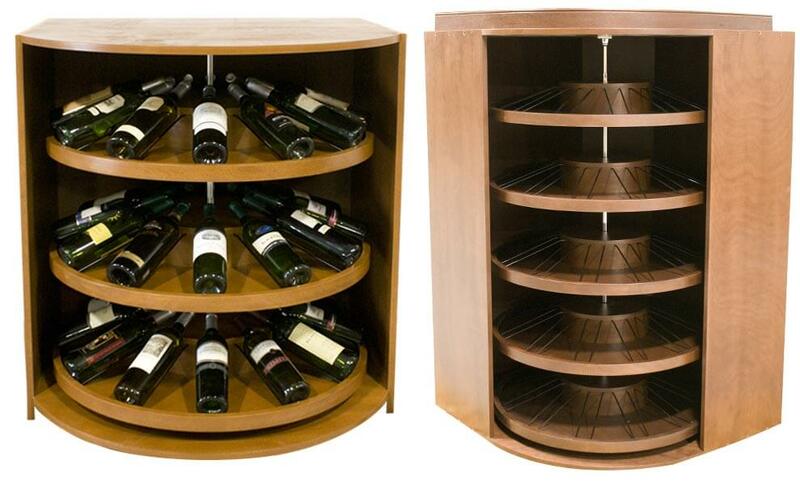 Each shelf independently rotates 360° and holds a full case of wine. This efficient wine storage option can be used as a corner rack or add a tabletop and make it the focal point of your wine cellar. The Rotating Wine Rack is available with our custom or premium wine cellars and can be customized by finish color, height and display lighting. Contact one of our knowledgeable wine storage experts today to get started on your design. One shelf holds twelve bottles of wine.